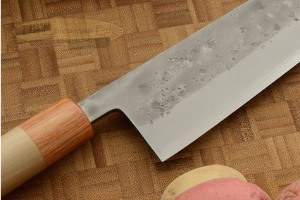 The blade is forged from blue steel #2 (aogami 2), among the most prized of carbon steels. This steel has exceptional edge holding and takes a keen edge. The center core is forged between two layers of low carbon steel. 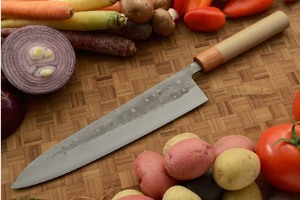 The surface is rough ground (nashiji finish) so that food does not stick to the sides of the knife while slicing. 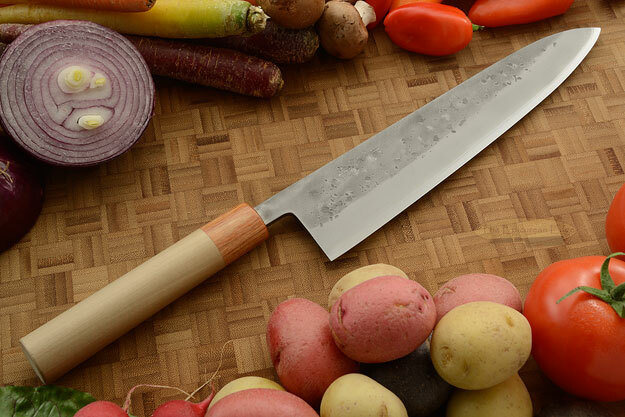 Because the blades are forged from carbon steel, rather than stainless steel, they require minimal additional care to prevent corrosion and staining, but have a far keener edge than their stainless counterparts. A distal taper makes the light blade have a perfect balance in the hand. 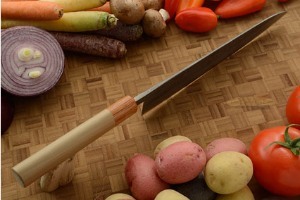 The ambidextrous oval handle fits comfortably and securely in the hand. 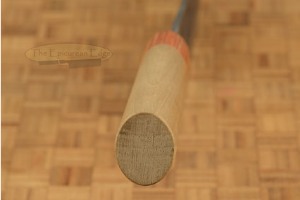 It is formed from ho wood and is finished with a natural Pakka wood ferrule. Each knife is razor sharp and sent in a nice gift box.